In preparation for the Taranaki Secondary Schools Sports Association (TSSSA) Orienteering and Rogaine Champs later in March, the club is running some after school training events. Turn up before 4:30 and get some technical training tips to practice during the event. NO experience necessary. Do the training and get member's rates for the event. Come and find out more or Phone Don on 027 248 7858 to register interest in the pre-course training. Tuesday 2nd March, Audry Gale/Merrilands Domain. Score event. Tuesday 9th March, Pukekura Park, Rogan St carpark. Classic event. For loop and classic event, starts 5pm- 5:30pm. For score event, mass start at 5:15pm. Registration is from 5:30pm to 5:45pm. Events start at 6pm & finish by 9pm. Your entire team must register and pay to compete. 90 minute option available Start at 6.15 - Finish by 7.45pm. Safety: No bikers will be permitted to compete without helmets and lights. Traffic laws should be obeyed as well as local bye laws. Bikers should only read their maps when stopped! Rules will be published on our website and will be available at the event. Coordinator: Annie Sanderson Ph:021 336376, 06 7533541. Email annie@bubbles.school.nz. Orienteering Taranaki (OT) is supporting Sport Taranaki to get more people active and hopefully introduce more people to navigation sports. Hence OT is running WOA OY#3 & 4 to double as orienteering events in the Taranaki Masters Games. Saturday 20 March is a 1 hour long combined short course then score event. The event starts on "Hoaketanga" with a point-to-point section that completes at a map change onto the "Te Henui" map for a score event. The total time for this combined event is one hour including map change and score event planning time. Sunday 21 March is a classic point-to-point event on the remapped north part of "Ratapihipihi" map. "Hoaketanga", (aka "a pleasant place to be"), features a detailed manmade area, buildings and parkland. This map has previously been used for Uni Games 2009 and B4NY2010. "Te Henui" - unused since remapping 2009/2010 - featuring regenerating native, parkland, urban areas, building within a river valley/gully/spur map. It is a much more technically difficult area than one would expect to find within a city. "Ratapihipihi"- unused since remapping 2009/2010 – featuring regenerating native, plantations and farmland on rolling Taranaki terrain. 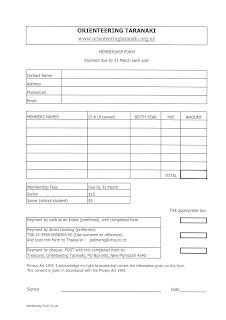 To assist Sport Taranaki & OT, if you are old enough (over 35), could you please enter using the attached form? (You never know, you could be a very rare person in the form of Taranaki Master Games Orienteering age grade champion.) Please note that if you enter using the form, before 25 February your entry fee will be $15 for both the events. After that date the fee will be $20 for both. You can of course enter the OY on the day for $10 per event, but if you won you wouldn’t be a TMG champ but rather a much more common person.